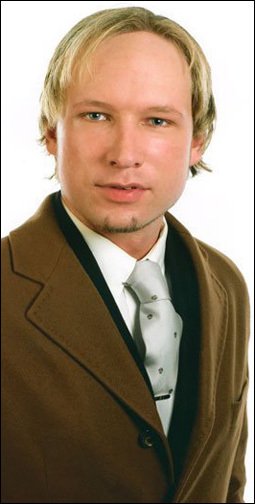 Arrested: Anders Behring Breivik (32). Anders Breivik Behring has also commented on the Swedish news articles, where he makes it clear that he believes the media have failed by not being “NOK” Islam-critical. TV2, the country’s largest broadcaster, identified him as Anders Behring Breivik, 32, describing him as a member of “right-wing extremist groups in eastern Norway.” Shortly thereafter, The Telegraph newspaper of London reported the same information, citing Norwegian Justice Minister Knut Storberget. Tore Bjorgo, a professor at Norwegian Police University College — which state broadcaster NRK reported is working with police on the investigation — said the fact that the second attack was directed at a political youth organization suggested the involvement of local or European right-wing extremists. The suspect is allegedly described as a Conservative Christian on his Facebook page.